Thanks to the Outpost’s brokering of an arrangement with the Silicon Valley service platform Arrivy, the Swiss startup Mila was able to establish a cooperative agreement and is about to enter the US market. Mila connects people with advanced technical knowledge to people who have hit a wall setting up their technological infrastructure on their own or are having other technical problems. 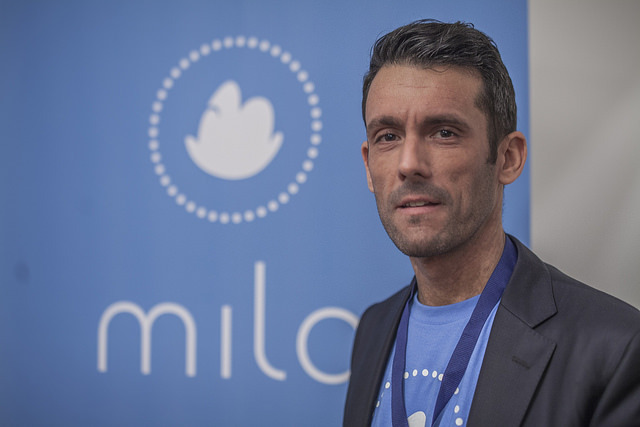 Mila was founded in 2013 as a spin-off from the Swiss software developer Coresystems. In 2015, a majority stake was acquired by the Swiss telecommunications provider Swisscom. At the moment, Mila is handling 10,000 service transactions every month. Mila’s network consists of 8,000 people – Mila’s so-called “Friends & Pros” – who are located in over 150 cities. Chris Viatte, co-founder and CEO of Mila, explains the cooperation with Swisscom’s Outpost in a short interview. Chris, the contact with Arrivy came about through the Swisscom Outpost in Palo Alto. What was your experience working together with the Outpost? The Swisscom Outpost thrives on the contacts and the know-how of the pertinent key people. In my case, it was Lukas Peter who knew exactly what I was looking for and was able to draw on a large network for me. Fortunately we found what we were looking for. You’re now beginning a cooperative arrangement with Arrivy, who is starting a pilot program with your technology. What does that mean, and what expectations do you have? We’re using Arrivy as “Software as a Service” (Saas). We’re integrating service trackers, and we hope that by doing so, we’ll accelerate our market launch. We had the choice to either build it ourselves or to work in a modularized way with partners. We’re testing out the cooperation for a year. Mila’s service tracker is supposed to ensure that the customers know when a technical expert is going to arrive. That way we can avoid the Mila technical expert arriving on site and the customer isn’t there. You were in Palo Alto yourself and got to know the Swisscom Outpost and its employees personally. What advantages does an Outpost like this offer? I’ve known Lukas Peters for several years, so I feel close to the Outpost. Besides discovering trends, the Outpost is a means for obtaining decisive know-how or building up interesting partnerships if it’s used properly. The Outpost should actually be expanded into an accelerator for tech startups. That way Swisscom can secure tomorrow’s core business on the basis of investment and the development of young companies with high potential.